Last week with the inauguration of the WAMGROUP S.p.A. the reconstruction phase of post-earthquake reconstruction was closed. bimO open innovation spinoff of R & D dept. 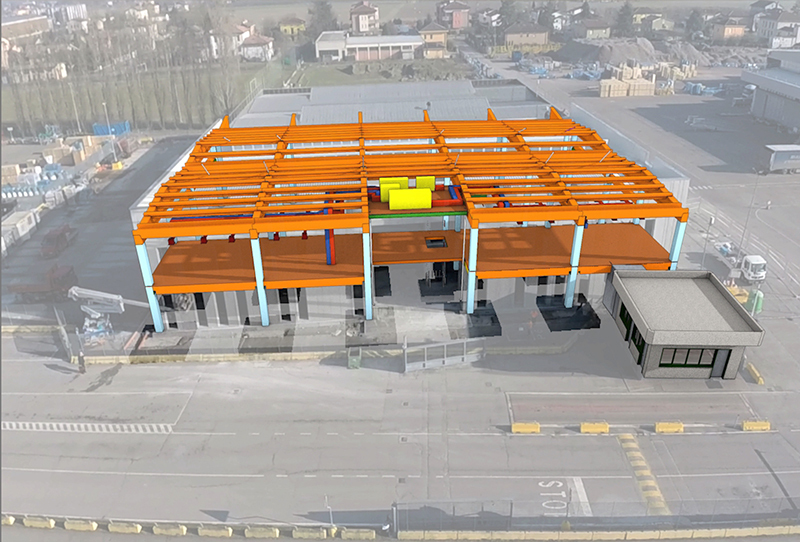 of RS2 Architetti, General Contractor of the design of the sector, has made its contribution by implementing the entire design and construction process with the BIM technology that has allowed us to achieve this prestigious goal. The values brought into play by this innovative design approach that digitize the construction industry have been: speed, multi disciplinarity, interoperability and transparency. BIM at the service of resilience has been the innovative answer in the management of the emergency.